Teton went to back to daycare a few weeks ago. That’s him and his bestie, Biju. Daycare is much more tolerable when your bestie is with you. Most things in life are. Of course, Teton still pretty much just stands in the middle of the room while Biju nervously paces back and forth, but I think they’re both getting more used to it. If you’ve been considering doggie daycare and have a friend who has a dog who is friends with your dog (there’s got to be an easier way to say that), see if you can take them both. I think it’s helped Teton get acclimated more quickly. I like the daycare that we’ve chosen for a few reasons. 1) I can watch Teton on a webcam at any time during the day from my phone. 2) The staff are attentive, knowledgeable, and kind to both dogs and their owners. 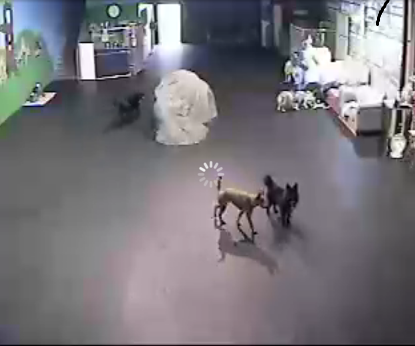 3) They go the extra mile and seem to really care for each dog who attends daycare. I had to snap this photo last time I was there because I think it’s so cool that they post the photos and names of each dog for staff members. I know, I know. Crazy dog mom. 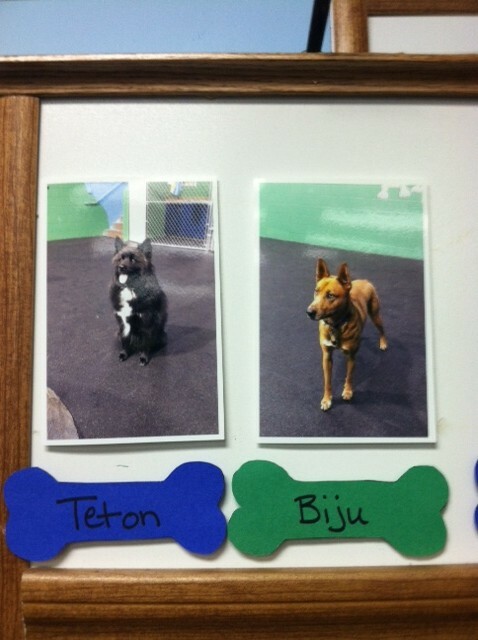 The daycare that Teton attends is $30 per day, but they also offer package deals. Teton does not go to daycare every week. In fact, he generally only attends a few times a month. I like to take him every now and again so that he can socialize with other dogs/people and so that he is exposed to a different form of exercise. $30 a day can definitely add up, so if your dog needs a more consistent daycare routine due to anxiety or lack of exercise, take that into consideration. It’s easy to get caught up in the “every day is a daycare day” routine, especially when your dog is wiped when you pick him/her up and seems content with just laying around all evening. Case in point, these sleepy eyes after a long day playing at daycare. If you want more information on finding a doggie daycare, Google “what to look for in a doggie daycare” and you’ll find everything from CNN articles to ones penned by Cesar Millan’s people. 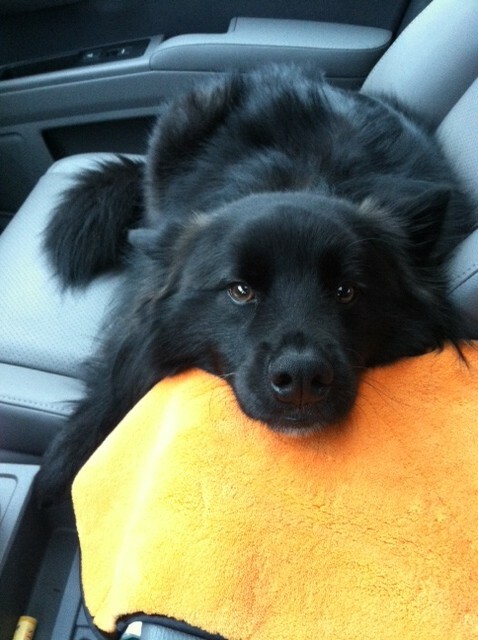 This recall includes many Boots & Barkley treats, which are found at Target. Posted on February 26, 2013 by Shannon	This entry was posted in This 'N' That, Web. Bookmark the permalink. 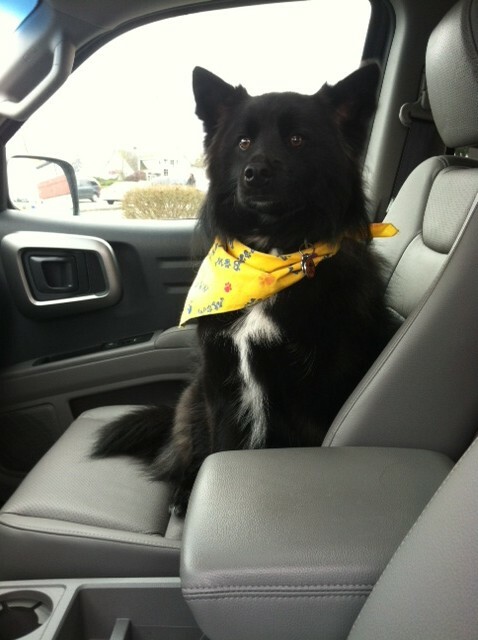 Can I ask where Teton goes for daycare? Right now my girls go to Fuzzy Buddy’s but they don’t have a camera! Doggy daycare! I don’t think we have such a thing over here in the UK but what a good idea! P’raps I should start one up!! I also want to know which daycare this is – sounds great!